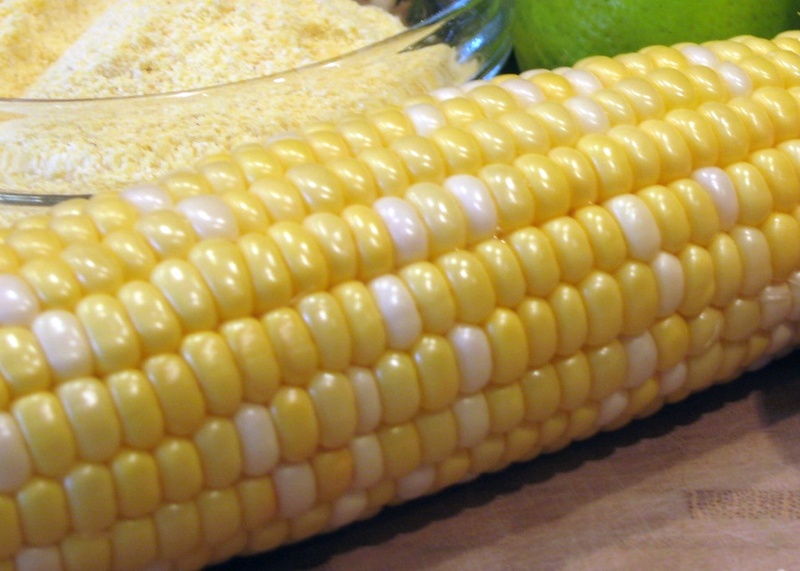 Did you know that there is one piece of silk for each kernel on every ear of sweet corn? That’s quite a bit of silk, when you consider that the average ear of corn has 800 kernels. Nevertheless, juicy, flavorful sweet corn is well worth the husking. Best when picked fresh, sweet corn loses a significant amount of its sweetness within the first 6 hours, so be sure to use it right away. Try adding some fresh sweet corn kernels to Lime-Cilantro Corn Bread. Or pick up some new recipe ideas using corn meal from the Whole Grains Council. I *so* wish we could get this freshly picked! Can you get frozen? Sweet corn holds up really well.